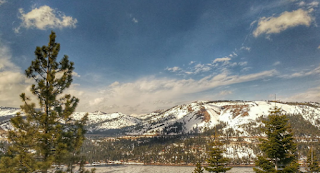 THPBlog: Sierra Pacific Industries to clearcut log SE of Colfax, CA. Sierra Pacific Industries to clearcut log SE of Colfax, CA. This THP is about 8 miles SE of Colfax, CA and Highway 80, and about 2.7 miles NE of Foresthill, CA at an elevation of 2,400 to 4,100 feet. Sierra Pacific Industries is planning a commercial thinning and clearcut tractor and cable logging logging operation in ponderosa pine, sugar pine, Douglas fir, white fir and incense cedar forests. SPI is proposing to use temporary skid roads in class III (intermittent) watercourse areas during the winter period. Two foothill yellow legged frogs were reported in the THP area including; a foothill yellow legged frog sighting within .25 miles of harvest units in section 8, and a foothill yellow legged frog sighting within 1 mile of harvest units in section 5. Van Zuik’s morning glory was observed along the road bordering unit 08-0804 and along the Finning Mill Road, and Sierra blue grass was observed inside units A and B. There are 4 CA spotted owl nesting territories within 1.3 miles of the THP area.